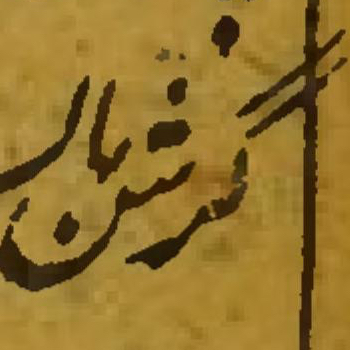 A hands-on comparison of the digital materials from the collections of the Islamic Studies Library at McGill University, Montreal, Canada. Digitization projects have been taken up by manuscript libraries around the world. The two pillars of such libraries -catalogues and the actual holdings- are undergoing a process in which they first become available digitally, usually for a fee, then they become available online for viewing, sometimes for a fee, then they become available for download, at which point the fee may be dropped and access is granted gratis. Let us take a closer look at the different qualities of these pictures to 1) better understand what we may expect and 2) see if we can come up with certain preferences. McGill University is home of an Institute of Islamic Studies and, separately but obviously closely associated, an Islamic Studies Library. The library houses one of North-America’s best collections of classical Islamic Studies. It has an on-the-shelves-only policy, meaning that all books are available to anybody who walks in. In recent years, a digitization project has started that has since matured into an impressive endeavor. Whereas McGill does not hold a very large manuscript collection, it does have a large and rare collection of lithographs and old prints, and this has been the main focus of the digitization project. The project is still expanding, but currently has over 400 titles. The manuscripts among these are not clearly marked, so I do not know how many are manuscripts. The metadata seems to have been pulled from McGill’s own catalogue which on the one hand assures a decent level of richness but on the other hand implies many doubles and confusions. For example, among the topics there is both “Islamic philosophy” and “Islamic philosophy.”, the difference being the period at the end. It would be a great contribution to this project if this metadata would be cleaned at some point. McGill negotiated hosting with Archive.org, which comes with, in my opinion, a couple of benefits. Firstly, all content is freely available and hosted on stable, well-equipped servers. Secondly, the project is a lot more future proof, as Archive.org is not going anywhere and will provide hardware and software upgrades automatically (I assume). The interface is clean and clear. Access to books can be achieved in different ways. For example, one can search for title, but also find a book by category or language. When searching for a title, try both in Arabic script and Latin transliteration, since some titles are catalogued only in transliteration. Sometimes the search function brakes down altogether. 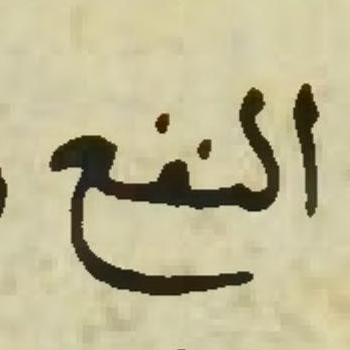 For example, searching for كاشف الأسرار, Kashif al-asrar and Kāshif al-asrār, with or without quotation marks, all result in zero results, which would make you believe this book is not available. Let’s blame this bug on the young state of this project. Once you click on an entry you get to the viewer and additional metadata. The viewer is quite good, especially in fullscreen view. It allows for fast scrolling, though, as we have seen with many projects, the page number of the viewer does not correspond to the actual page number of the object. Since the digitized materials are mostly print, this is not a big problem as page numbers are usually printed on every page. For viewing pages the options are ‘one, two, many.’ One page allows for close inspection, two pages allows for browsing, and many pages allows quickly scanning. I like this function a lot. The zoom function speaks for itself. For downloading individual pages, please be sure to zoom in first, as much as possible, and then right-click and save as. This will get you the highest quality. There is also the option of downloading the entire work. This is of course very nice. The PDF you will get is secured and therefore difficult to manipulate. When zooming in and individually downloading a page, you will get higher quality, though the PDF’s quality is perfectly fine for most uses. Evaluation: This is one of the few manuscripts currently offered. It actually derives from a different branch of the McGill Library system, namely the Osler Library of the History of Medicine. The image on the left is from manually downloading the folio. Readability is great, as is the color balance. The cut is too tight; we cannot see the edges of the page. 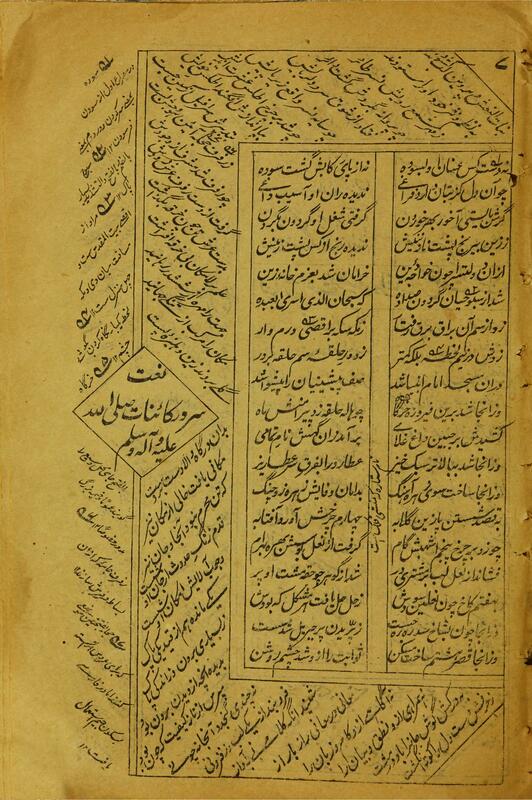 Evaluation: Here is the very same page but this time taken from the PDF of the entire manuscript. Readability is very good and given the coarseness of the image above there might not be much quality difference between the two options of manually downloading images and downloading the entire manuscript as a PDF. Evaluation: A typical lithograph, manually downloaded. Color balance is good, although red and yellow seem to dominate slightly. Cut is good as well, leaving a good margin around the edges of the page (see below). This photo, although not as crystal clear as other libraries offer, shows that McGill offers high-quality digital reproductions that are a pleasure to work with. Evaluation: Another lithograph, this time without a call number. The color balance is a bit dark and the cut is again too tight. The quality is good enough to read everything, which is important as this and many other lithographs have text all over the text in different sizes and different directions. 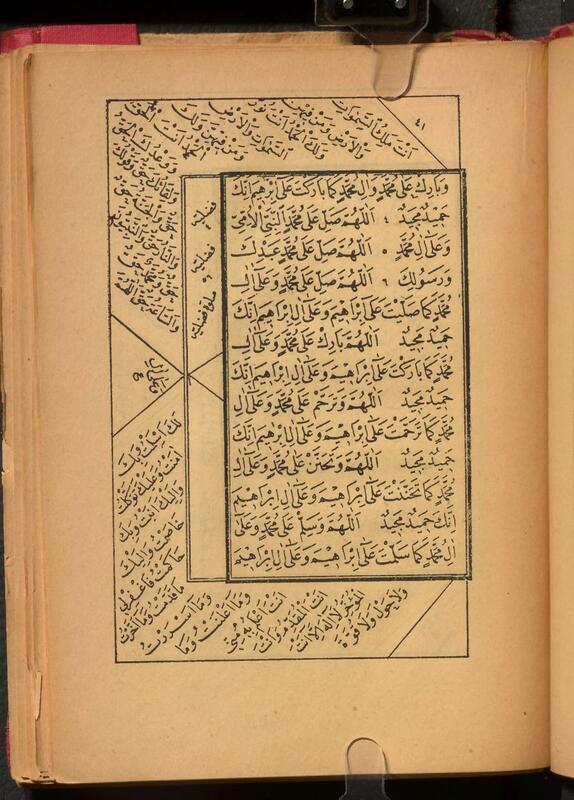 Here is the full page of Yūsuf va Zulaykhā. Note especially that the borders of the page are not visible. 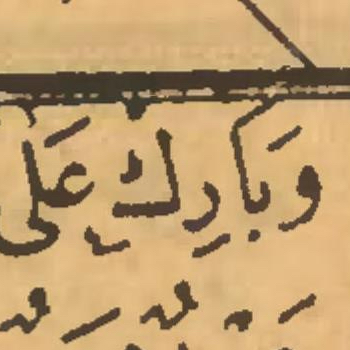 This makes it difficult to say whether the print is crooked at the bottom (note the not-so-straight line) or whether the page is slightly bulging in that place. The following folio does show its edges, and also hints at how pages are kept flat. Note also the uneven light throughout the photo. 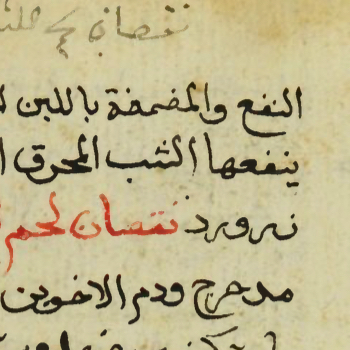 The Islamic Studies Library at McGill has produced an outstanding digitization project that can serve as a template for other libraries. As I point out throughout this review, there are several aspects that could be improved, most notably cleaning up the metadata. The flexible approach, through partnership with Archive.org, should make it easy to do this at some point. Most importantly, the photos themselves are of high quality and can be profitably used. The download size for a PDF is a very good balance between usability for reading the text and usability for storing and retrieving the file. The option to manually download pages is a welcome option. I hope this project will continue to grow. I dedicate this blogpost to Stephen Millier, whose expertise and commitment as a librarian and cataloger are unrivaled, and whose warm friendliness will never be forgotten.